Semi-evergreen with bristly, arching stems of shiny, lobed green leaves. 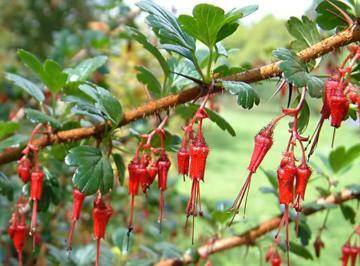 Slender, deep-red fuchsia-like flowers hang along the branches in late spring. Sometimes produces bristly red fruit. May be effectively wall trained.